We, the gaming public, have finally received some kind of answer to the conundrum that was the Xbox One scandal of the decade (even though it really wasn't). Microsoft was reached out to over the weekend to gather a response and some sort of explanation to clarify what was going on with those Windows 7 PCs that were running Nvidia GTX 780s for several Xbox One games. "We have a variety of Xbox One development kits with built-in functions for different applications, including kits that look like PCs. At this stage - months before launch - our teams and partners are focusing on games' development and the best gaming experience, not on physical looks of the kits. At this period and until launch, you may see a variety of different physical cases that do not reflect of what's running inside." I don't know if I quite understand this: So an AMD GPU and CPU combined in a custom built APU clocked around a 7790 for the Xbox One is equivalent to a PC running a dev kit on an Intel CPU and Nvidia GTX 700 series GPU? 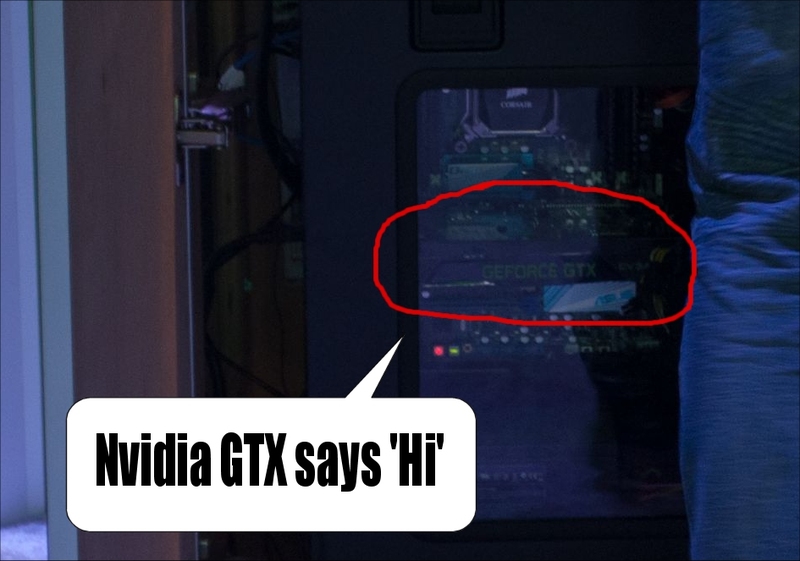 I mean, we could ignore that they were running Windows 7 since it's the more stable OS, even though the Xbox One uses a Windows 8 core, but I can't get over the Nvidia GTX card. There's a whole lot wrong with using a GTX to spec a game to for demo purposes compared to what the system will ship with. Peter Moore's comment about the PCs being specified to comparable hardware of the home consoles [via GG Games] doesn't jive with what Motai is saying, unless we're talking about hardware emulation. Thanks but the hardware situation you're criticizing [regarding Windows 7 PCs] was solely our decision. There's no story here. Exophase also dismisses any other cases of games running natively on PCs, noting that it was only Lococycle. However, there is a story with Battlefield 4 and Dead Rising 3, along with a couple of journalists noting that some games were crashing to a Windows 7 OS desktop as noted in the Digital Foundry article, but I digress. While it's no surprise that multiple games were running on high-end PCs (and not actual dev kits) there were a number of PlayStation 4 developers who came forward to state that Sony had provided actual dev kits specified to the PS4's hardware, and that many of the games on showcase at E3 were running on equivalent PS4 hardware. Regardless, Microsoft has spoken and if they say that Windows 7 PCs with Nvidia GTX cards are dev kits for the Xbox One, then they're dev kits for the Xbox One. Just don't expect Xbox One games to look remotely similar when they actually launch for the console, given that they were running on a card that costs more than the system itself and is more powerful than both the Xbox One and PS4 combined.